(BPT) – Virtually all parents have experienced the terror of looking up from what they were doing only to realize their child has wandered off. Your pulse races, your heart pounds and you can’t relax until your child is back in sight. As children grow up, they learn to stay put — or at least let you know where they’re going — and your fears fade. If you become a caregiver for a parent, grandparent or other loved one with dementia, you may find yourself having the same fear if your loved one begins to exhibit a concerning symptom— getting lost or wandering. The Alzheimer’s Association says six out of 10 people with Alzheimer’s experience episodes of wandering. The behavior can take many forms, from leaving the house without telling anyone to leaving and then becoming too disoriented to find their way home. Wandering can also occur at night, when a person with Alzheimer’s gets out of bed and wanders inside the house — or more concerning, goes outdoors — in the dark. To understand why your loved one may be wandering, look for a pattern. Does he wander at a particular time of day or night? Is she trying to communicate with you? Do they have an unmet physical or psychological need, like being hungry or thirsty, or feeling lonely? Is an undiagnosed medical problem, such as a urinary tract infection, prompting the person to get out of bed at night? Sleep patterns change as we age, and those changes can be pronounced and concerning for people with dementia. Help people living with Alzheimer’s differentiate between day and night by making sure they’re exposed to plenty of natural light during the day. Encourage at least 30 minutes of exercise every day, but not within four hours of bedtime. Discourage daytime sleeping by keeping people with Alzheimer’s engaged in meaningful activity. Avoid screen time (white light) directly prior to bedtime and use amber-colored night lights which do not disrupt REM sleep patterns. Practice relaxation methods like a short, light massage, warm bath, hot milk or herb tea, or reading aloud. For extreme wandering concerns, consider investing in a monitoring system that will alert you when a loved one gets out of bed at night. Hiding car keys. This can prevent loved ones from leaving the house, getting in the car and losing their way. Occupying your loved one with a relatable, doable task that provides a sense of purpose. Sometimes, despite your best efforts and precautions, wandering can remain a concern. 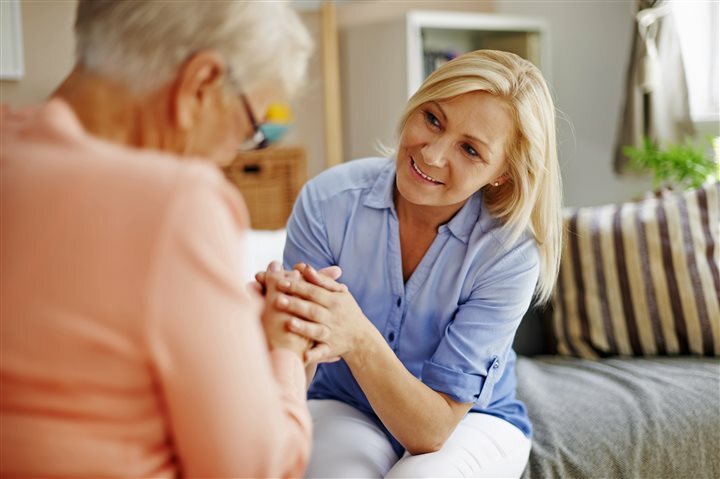 If that happens, it may be time to consider employing home care service providers to care for your loved one who is dealing with Alzheimer’s or other dementias. In Your Golden Years staff are trained to promote your loved one’s sense of independence while providing an environment that focuses on safety and purpose.